One day an artist approaching the middle of his life awoke. It wasn't the kind of waking that happens with a start when an alarm goes off, or a sudden ray of light shakes a person immediately from a dream. Instead, it happened slowly, in a way that almost made the waking up seem like a dream itself. Different events wove together like sound waves. Independent of each other, they seemed at first strange, scattered, even a touch ominous at times. Yet, layered together, they produced a song, which rings clear and deep in a way that can uncover the truths hidden within most lies. The artist encountered many lies along his path to awakening, but doesn't everyone? Our lies are the building blocks of the prisons and palaces from which we must sing ourselves free. One lie in the artist's life was that he didn't know music and that his creative strengths stopped with what he could sculpt and paint. Another lie was that his talents were best applied to the corporate world of scenery, movie sets, amusement parks and businesses seeking embellishments for their buildings and displays for their trade shows. One of the most powerful lies of all was that his art could exist independently from his life, with his professional and personal endeavors neatly separated into well-organized spheres, all aspects of which aligned perfectly with misguided perceptions about what it means to succeed. In Fall 2010, a Central American shaman, and personal friend of the artist, had a vision. In it, the artist was making what the shaman described only as a "UFO shaped metal musical instrument." He instructed the artist to discover more details for himself if it was to be his true path. Intrigued by his friend's guidance and at dis-ease with his increasingly conventional life, the artist explored music and learned to make art that "captivated both sight and sound." He began creating a company in the same spirit that he'd approached his previous business ventures and learned through experience to scale down and focus on honoring music, in its own natural way and time. He sought out the Father of Steel and formed a brotherhood with a tuner. Together they hammered notes, broke apart creations and deepened their bonds as family. The artist performed on stages and street corners. 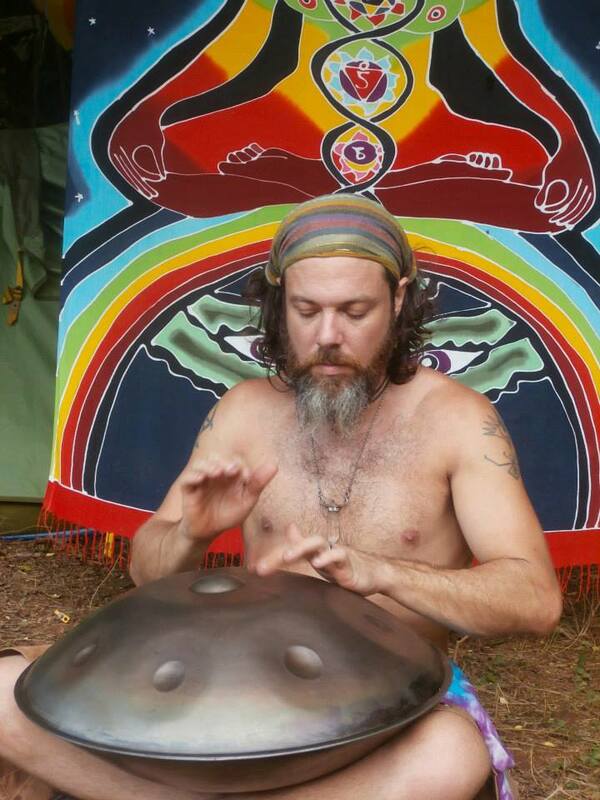 He helped evolve TerraTonguez steel tongue drums into Starseeds, implanting the confidence to play music. He gained his own confidence. He offered musically charged invocations to revolt with discretion against inauthentic ways of being. He traveled extensively, and, with every new experience related to Pan, he found himself personally challenged and enriched. The artist began to equate the question, "How do you make your Pan?" with the question, "How do you live your life?"